It'll take dedication to get into the Killzone 3 beta. Well, dedication and a quick internet connection. A multiplayer beta for the third installment of the Killzone series descends on the PlayStation Network later this month, but if you want in, you're going to need to be fast, and have shelled out for a PlayStation Plus subscription. In a post on the PlayStation Blog, Sony said that the beta had ten thousand places, split down the middle between Europe and the U.S. In order to guarantee a place, prospective players will have to sign up for, or already have, a PS Plus membership and be amongst the first five thousand in their area to download a PlayStation Plus exclusive Killzone 3 XMB theme on October 19th. Sony will email the fastest, or luckiest, ten thousand to tell them they have been successful, and then send them an access key when the beta starts on October 25th. The beta will include the new Operations game type and the new party system, as well as the jetpack and exoskeleton vehicles. In exchange for getting to play the game early, Sony says it expects its testers to "provide honest gameplay feedback, report bugs and glitches, and help test [the] network code in real-world scenarios," all of which is pretty standard beta test stuff. 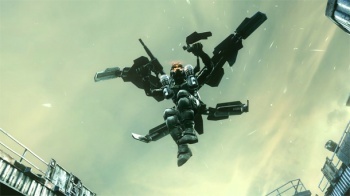 Killzone 3 will be released for PS3 on February 22nd.